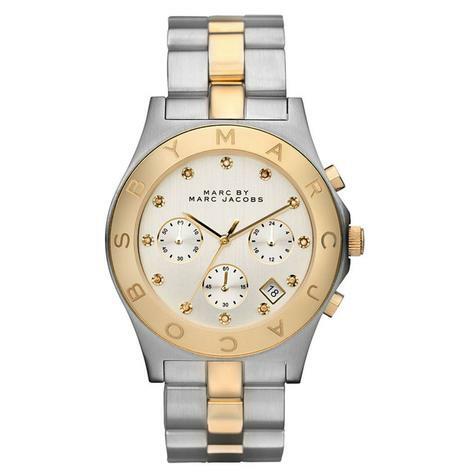 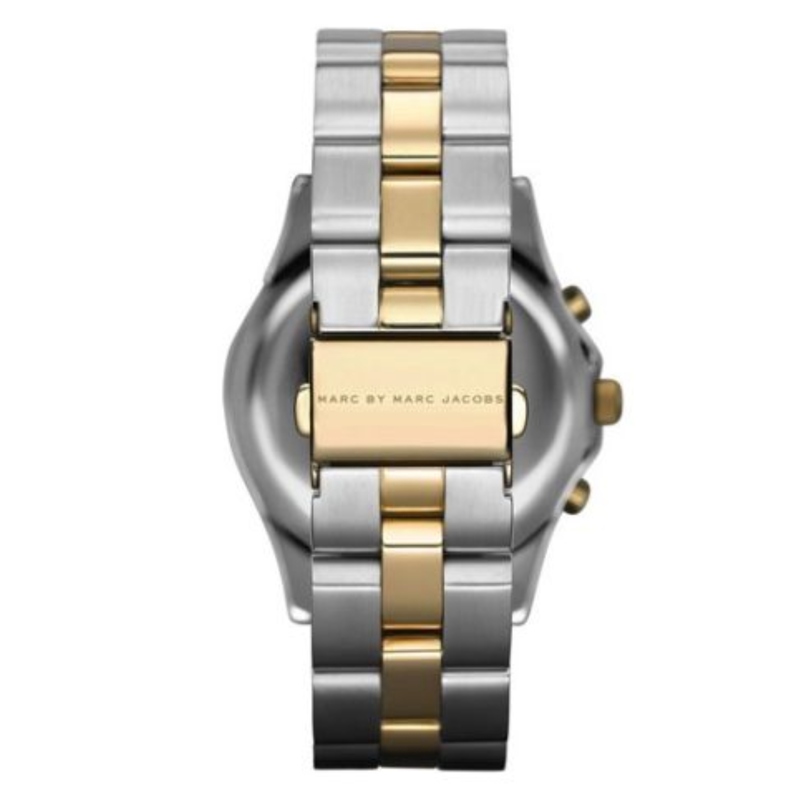 This attractive Ladies' Marc By Marc Jacobs Blade watch is made from stainless steel and PVD gold plate. 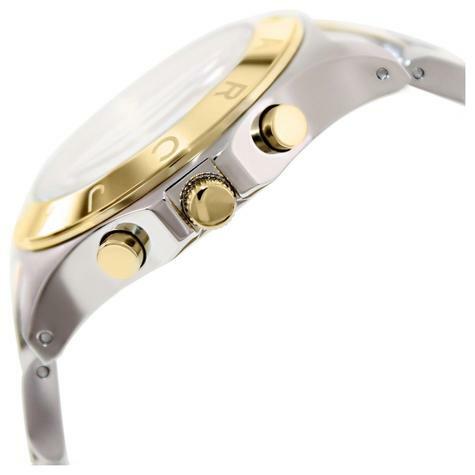 The round case features engraved banding on the outer edge and this stylish time piece has a sleek dial with glittering stone hour markers. Also features chronograph, date function and is fitted with a quality quartz movement. 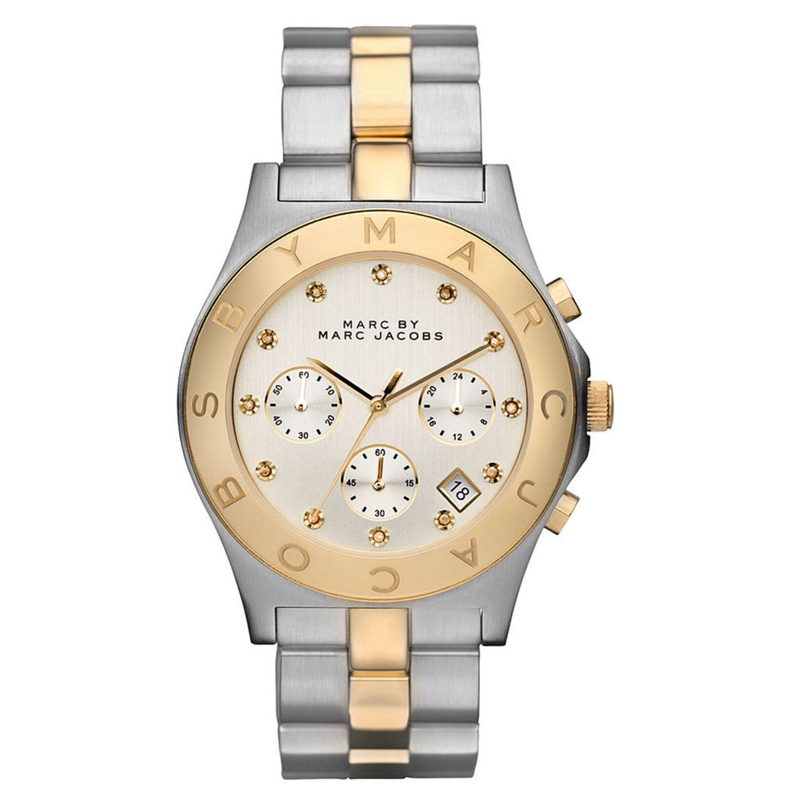 It is fastened with two-tone a metal bracelet.